Every now and then I read an article about cows adding methane to the atmosphere through their belching and flatulence. Obviously a 1000-pound cow is going to produce a lot more everything than a 3-ounce jay, but based on a master’s thesis in the library at the Cornell Lab of Ornithology, jays do their part. An interesting phenomenon was observed on two cold days during December of 1963. These observations were made shortly after noon while I was looking through the window of the office into the flight in which captive jays are kept. Several birds were perched directly overhead and in front of me, at distances varying from one to one and a quarter meters. One of the birds in front of me defecated. A small puff of whitish gas was expelled along with the feces. The feces dropped from the bird while the gas wafted below and parallel to the slightly raised tail, until it dissipated rapidly into the cold air. The gas could be clearly seen against the dark-colored eave that hangs over the sheltered perches, upon which the birds were fluffed and resting. Several days later a bird perched in the same position was observed to defecate with the accompanying wisp of whitish gas. It is common knowledge that mammals flatulate and that some food items seem to increase the frequency and volume of gas-expulsion from the lower intestines. Since birds feed on many of the same types of foods as mammals and their digestive metabolism is basically similar, there seems to be no theoretical reason why birds cannot also flatulate, but flatulence has never been reported in birds to my knowledge. In all probability, the observed whitish gas was mostly warm water vapor which was released as the bird defecated in the cold still air. Whether this gas was the product of the digestive processes or was simply condensation of moisture from the feces could not be determined. This part of Weisbrod’s thesis provides clear proof that researchers give birds no privacy whatsoever. I’ve read a couple of references to Weisbrod in other papers about jays—they misinterpret Weisbrod’s observations, stating that Blue Jays pass gas on cold mornings, when to be strictly accurate, Weisbrod could only measure this phenomenon visually and so only saw this when cold temperatures made the gas steam up. For some reason, no scientists have followed up his work with a more detailed study. And so, of course, no one has quantified the amount of methane a single Blue Jay produces. 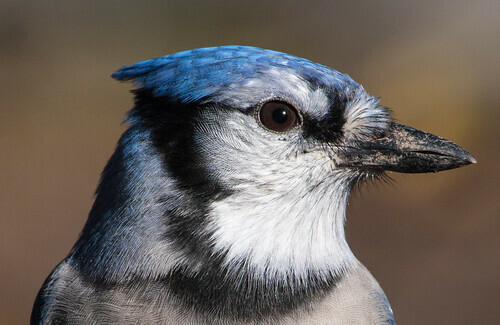 It would take somewhere between 10,000 and 20,000 Blue Jays to balance a single cow in weight, and Blue Jays actively bury healthy acorns, each bird planting more than enough oak trees to take up its own carbon output and that of several cows, so my guess is that overall, birds and their activities end up taking far more carbon out of the atmosphere than putting into it. It’s the kind of interesting but fundamentally useless question that I’m sure some graduate student is looking into right now. This is a hilariously interesting topic for a children's book writer/illustrator of natural history. If any further research is done in the world of bird flatulence, I intend to find it. The image of 1500 blue Jays farting together... Pure gold!